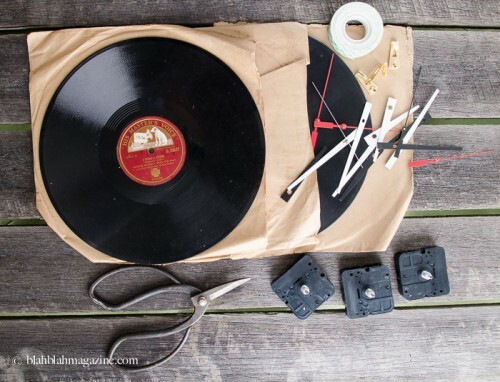 A couple of old vinyls? 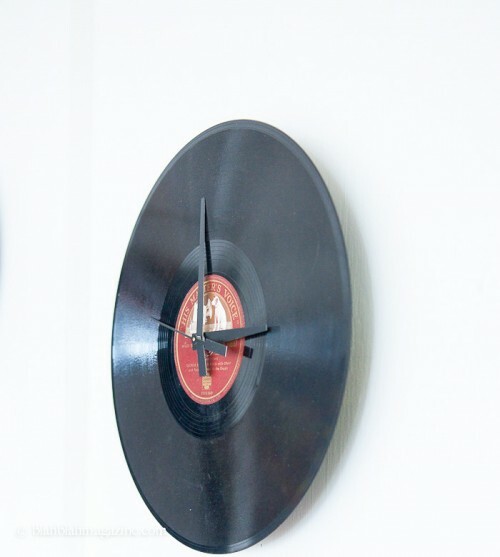 Turn them into original clocks! 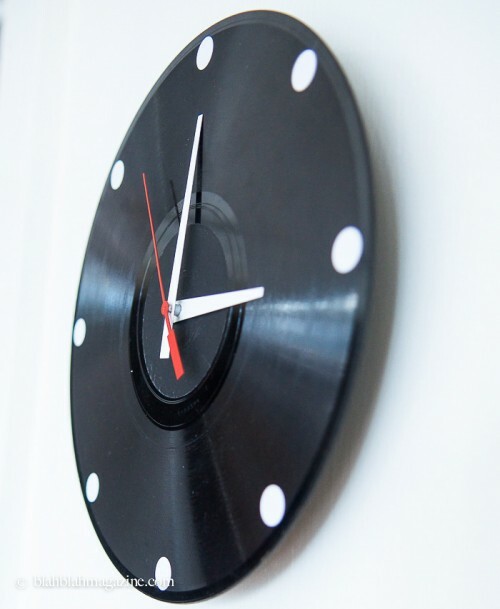 Besides a vinyl record you’ll need 6 mm clock mechanism, 65 & 85 mm black clock hands, a mounting hook, mounting tape/ 2-part epoxy glue, thick cardboard cut into 1cm x 2cm pieces, if needed for thickness. 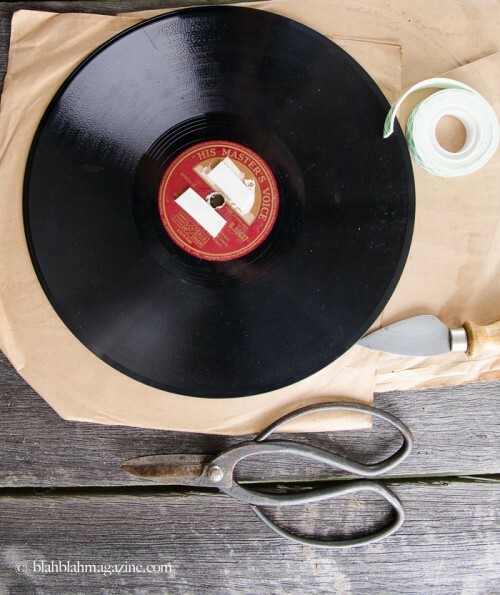 Gently scratch the record’s center hole by spinning an old knife in it until it is big enough to fit the clock mechanism pin in it. 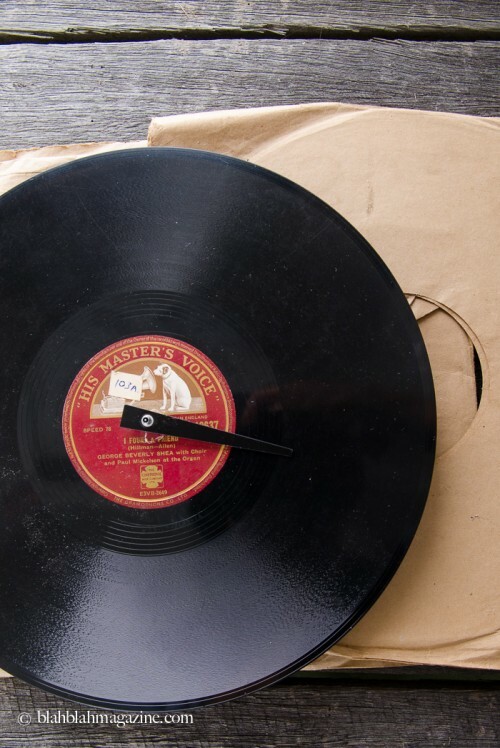 If need be, glue or affix a layer of cardboard around the hole so it is the right thickness for the clock mechanism to sit. 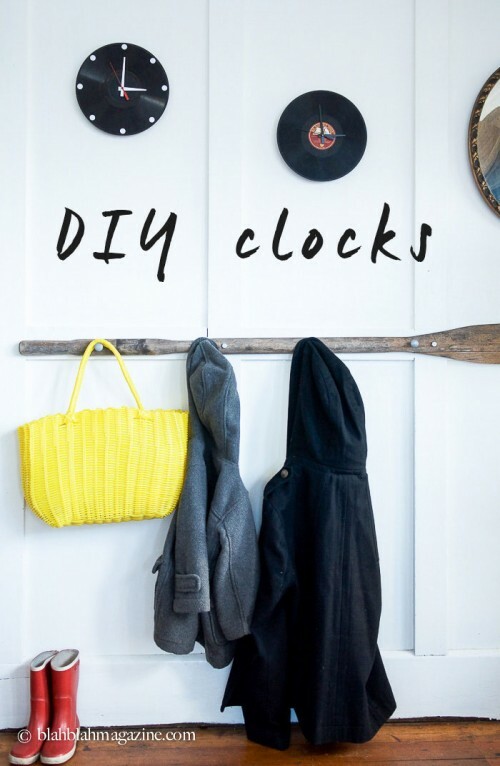 Affix the clock mechanism with glue or mounting tape. Continue reading the tutorial at blahblahmagazine.com.au.